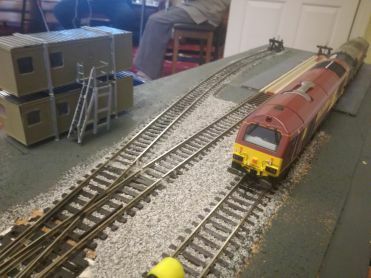 This OO gauge layout is based on a small diesel facility acting as a satellite depot to a main shed. 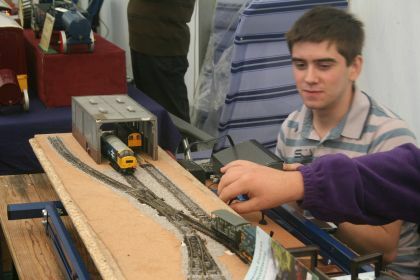 It is wired for both analogue and digital control systems, which caters for the modern image Club members, allowing a variety of locomotives to be operated. 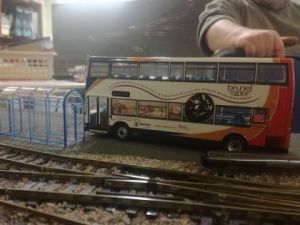 It is a compact layout, measuring 5ft by 1ft, and it is not flooded with an excess of buildings, etc. 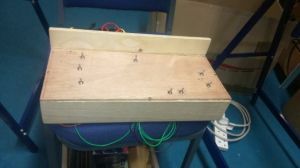 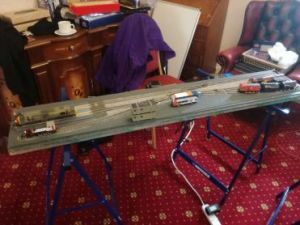 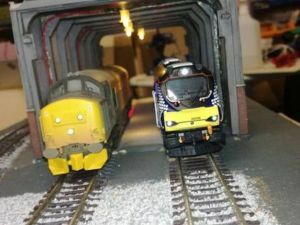 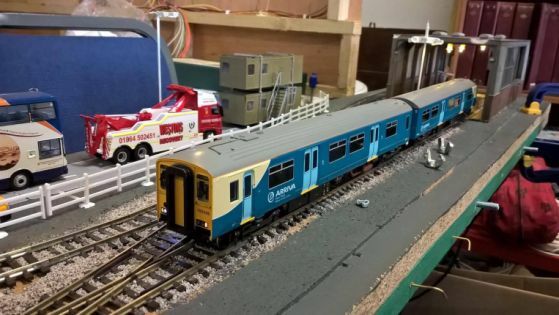 It is being built to a high standard by our webmaster as primarily a shunting layout, but there are a number of interesting scenarios to run through in the script. 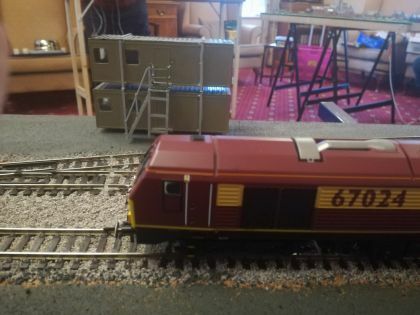 The features include fully working shed lighting, and further lights are being fitted throughout the yard and on some of the buffers.